This isn't a get rich scheme and you do have to put time into it, the best part is that they made it so that you aren't spending allot of extra time doing things to get credits you can earn many different ways, like using their search engine, playing games and other things (will explain below) you don't need to hound friend to be referrals as you can do pretty decent on your own. This post will be very long but very detailed. 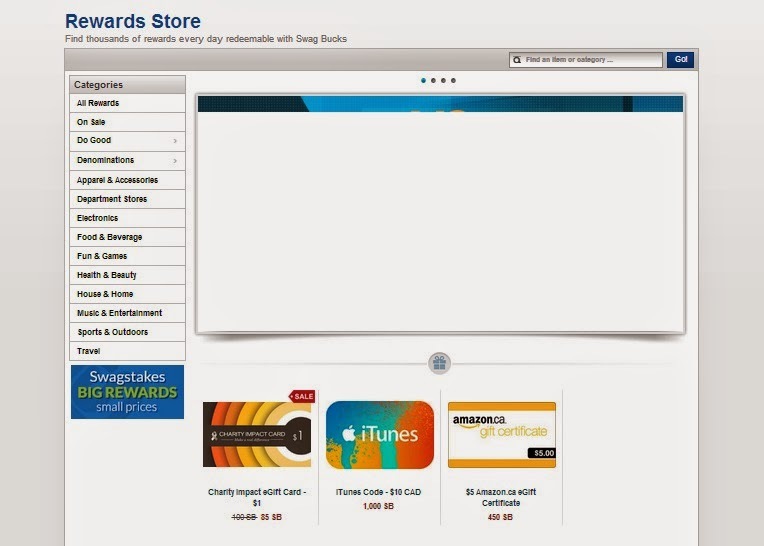 This is the homepage for swagbucks, one suggestion is to set this as your homepage set to search a site you always go to like Facebook or twitter, your chances of winning some swagbucks is pretty good, after you win some you most probably wont be able to win some for a bit, most people search and win at least 3 times a day. I find that their search is very comparable to Google and i still use both but i use swagbucks search first. You can also play games to earn credits, doesn't matter if you win or loose in the game, BUT you don't always get credits for every game,they have a set limit on how much you can earn playing games per day, if you have kids get them to connect to a FREE playing game and let them play over and over until you collect your max for the day. You can also bet your credits in games to win more, i haven't done this. 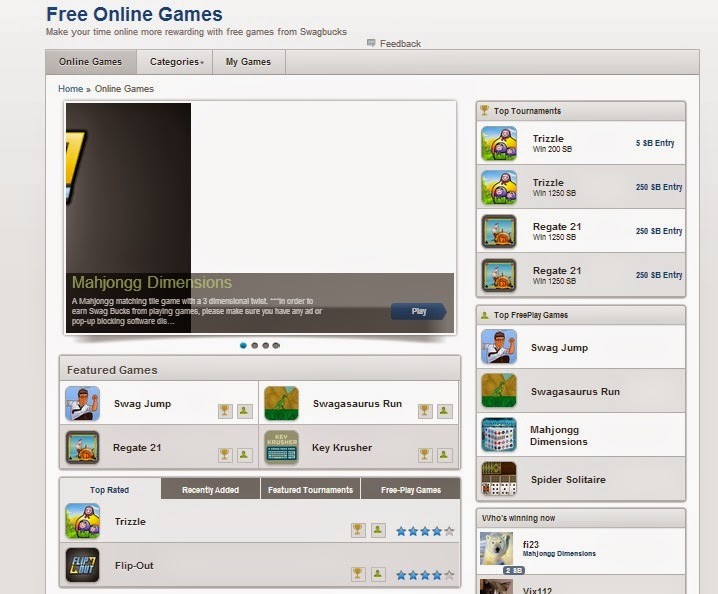 Some of the games are really fun to play, bonus that you gain credits by playing games. You can also answer a daily poll everyday to win 1 credit, you can also submit poll questions , if you rs are picked then you get some extra credits. Even though its only 1 credit they do add up. You can earn credits by doing surveys, i personally love doing the peanut ones when they are available and the daily surveys are pretty useful. When you start doing a survey and you don't qualify then you will still receive swagbuck. 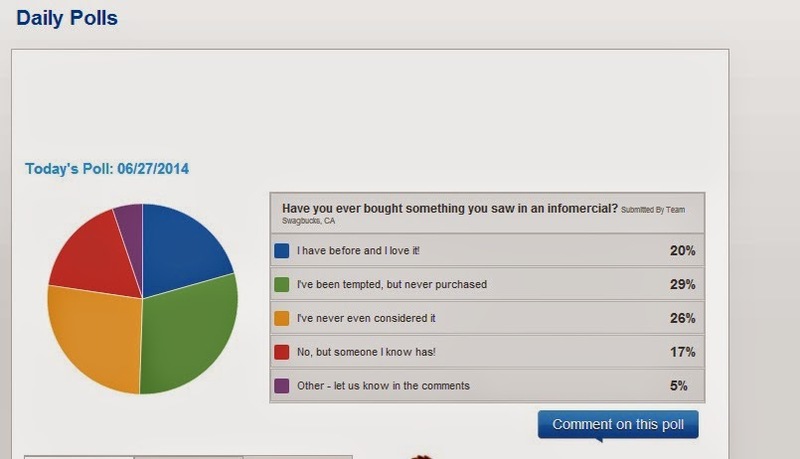 most surveys are a hit and miss, and you should always be aware of what you download on your computer. 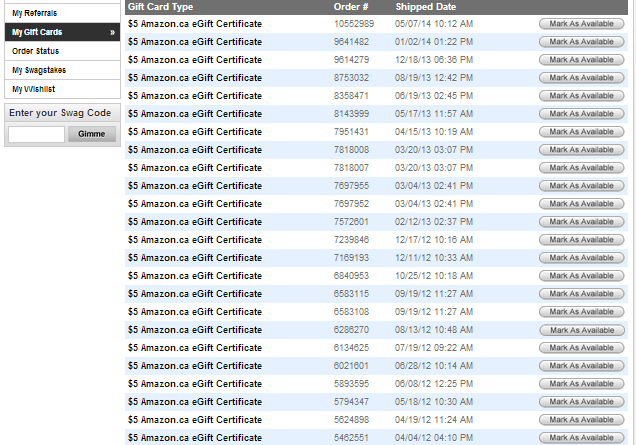 Some of these have good opportunity like being 1st time subscriber to netflix gets you 800 swagbucks <<Just an example. With everything please be cautious when downloading or buying things. ll you have to do is watch the videos, if you have the tool bar you can have the video pop out and do other things while listening ( or you can mute it ) I usually do this when im cleaning on mute, with my own music going. it does take more then 1 video to gain credits but you get different amounts when you reach 100% on their video watching scale. SWAG CODES-- Swagbucks from time to time have codes that are time sensitive, knowing when these come out are important, if you get the tool bar there is a option to see if there are any swag codes now. if there is it will tell you where to go. sometimes they have big events where you can win a couple hundred swagbucks. 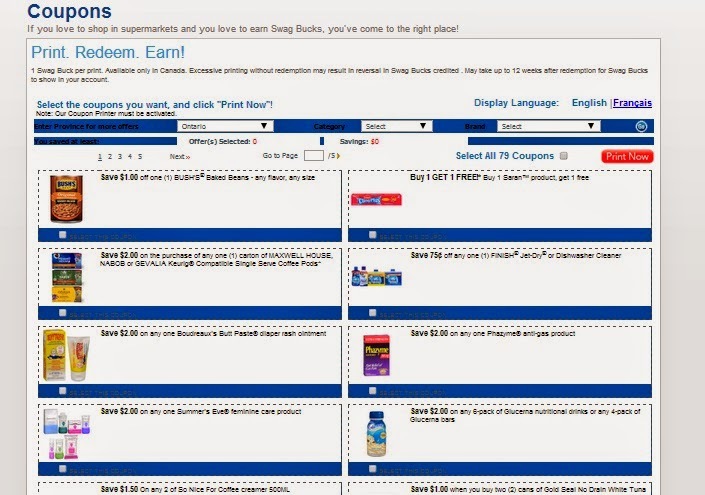 You can earn swagbucks for using coupons!!! You have to print them and use the coupon to get your swagbucks. this is limited to a certain amount. 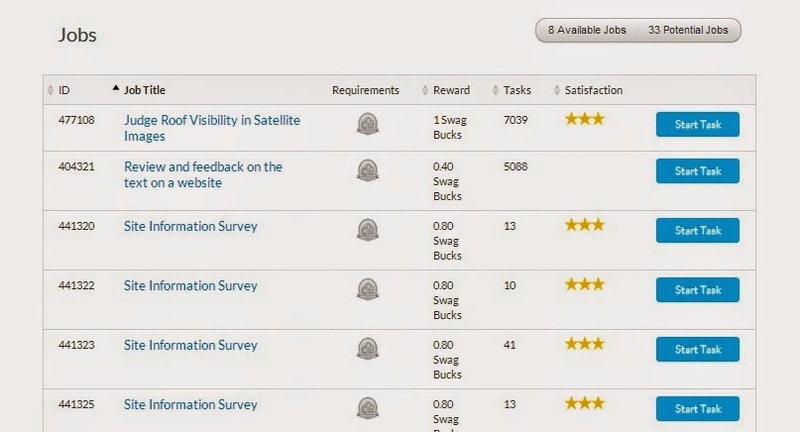 You can do tasks to earn swagbucks as well. these are usually very long and not something you can just quickly click, you have to pay attention and qualify for the jobs. HERE WE ARE AT LAST!!! The rewards store is fairly priced Many people save up for high amount gift cards, but there is LOTS of things to choose from. All i have done is used amazon.ca,,,, i have been letting my account just build up, most people that i have talked to say that they do swag all year long and buy all their xmass presents through amazon. The $5.00 gift card for amazon.ca is 450 swagbucks, i know it sound's like a lot but honestly if you are on the internet all day then you should do well. Its something that you work at and eventually everything will click into place and you will be earning the most swagbucks as you can. Like i said above this isn't going to make you rich overnight or right away, you don't have to sign up for a million things or have to go after a million people to profit. Due to health reasons i slacked off on doing it, but i have bought a few things already from amazon that were free, a silk bed sheet set, eyelashes for a friend and recently tweezers for .65 cents each. Even younger people could use this to get Gift cards for Facebook games. I love SWAGBUCKS!!! It is the only search engine that I use. That's freakin' awesome!! I had NO idea about this!